This statistic shows the results of a survey about hateful statements on the internet, which was conducted in France in February 2015. 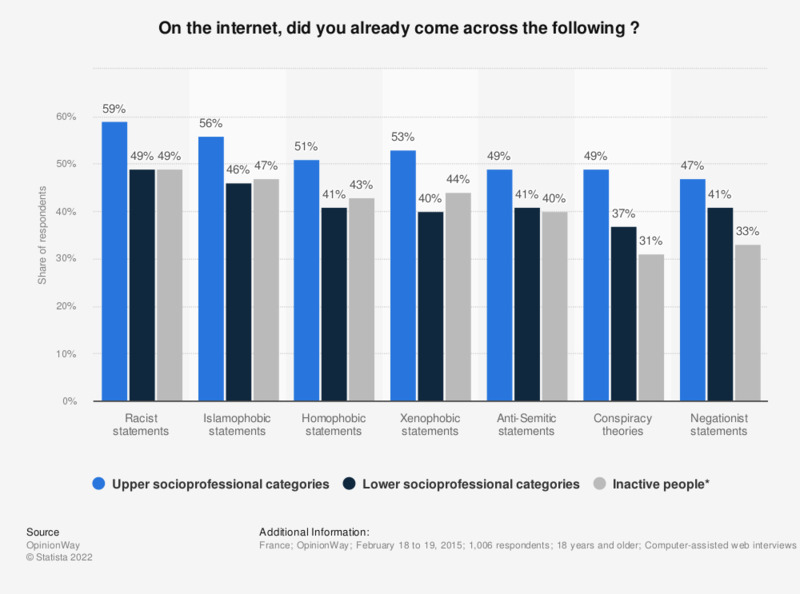 It illustrates the exposure to hateful online content, by socioprofessional category. Results show that people from upper socioprofessional categories were more exposed to offensive statements than lower socioprofessional categories and inactive people.